In this post we will expand a bit on running DukeNukem 3D and using the HiRes Packs (HRP) to bring in the new graphics packs out there. This is made possible by eduke32. 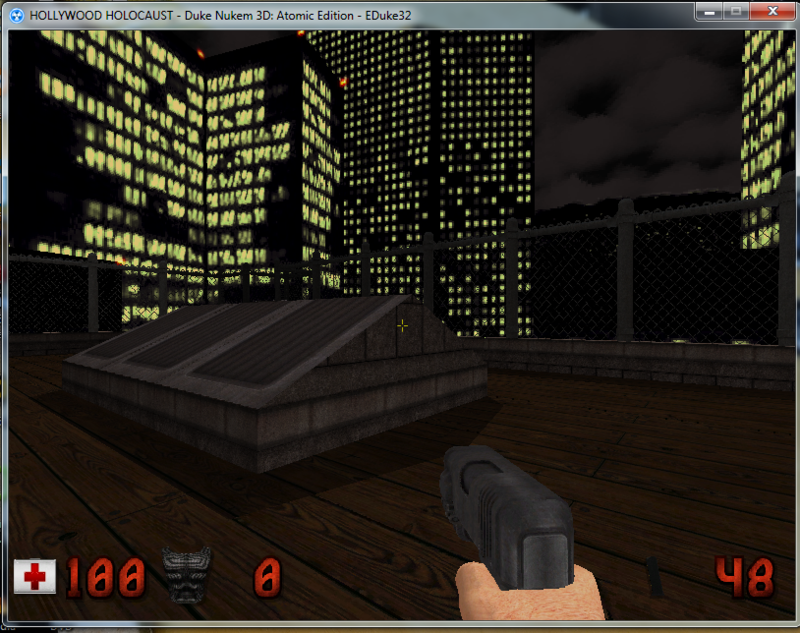 EDuke32 is an awesome, free homebrew game engine and source port of the classic PC first person shooter Duke Nukem 3D. Download the latest eduke32 from http://dukeworld.com/eduke32/synthesis/latest. Select eith the win32 or win64 download depending on your version of Windows. Extract the downloaded 7-zip archive to a directory. For this post I am using c:\games\duke3d. Copy the duke3d.grp and duke3d.rts from your Atomic edition to c:\games\duke3d. Now we need to get the HiRes Packs available. First we have to download HRP pack from http://hrp.duke4.net/download.php and select the Duke3D HRP v5.4 FULL SFX (986 MB), use the Duke4.net or the Megaupload links. The file will be named dn3d_hrp54-sfx.exe. Double click on dn3d_hrp5-sfx.exe and extract to C:\games\duke3d\. Now we are ready to start the game. Double click on c:\games\duke3d\eduke32.exe and this will bring up the eduke32 interface. In the Custom game content directory select autoload and you will now have the HRP enabled and ready. 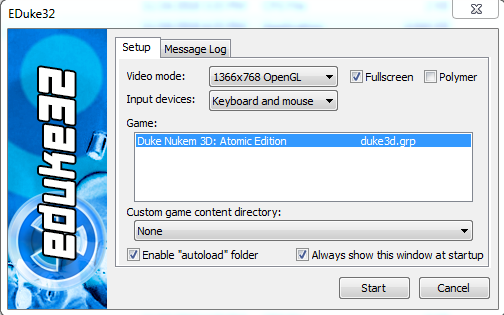 Click start to play Duke 3D.